– The Cagayan Economic Zone Authority (CEZA). PAGCOR control and licences the physical gambling such as betting shop, casino, bingo shop, poker club. CEZA or Cagayan Freeport is an economic zone in Cagayan. CEZA licence online gambling in Philippines. Even though Philippines gives licences to online gambling website, those website has to respect one rule is no services for Filipinos. Why Foreign betting site is better? By the way, foreign bookies are better in offering best odds, in-play live, have wilder markets, and support other gambling such as live poker. It’s not illegal to use foreign betting site but many sites do not accept player in Philippines. Why? It’s because many website licences in Cagayan Freeport and one of the rule for these bookmakers is not accept residents of Philippines. How does Philippines restrict online foreign bookies? 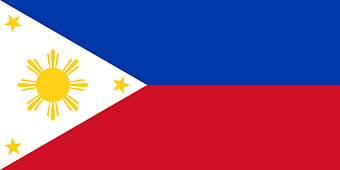 Many websites that Philippines gives licence cannot accept residents of Philippines. Those website such as 188bet, dafabet, m88. Meanwhile, the popular European betting sites like Bet365 may skip Filipinos. Check out more reviews of Bookmakers here. Bank transfer is still able to use with some bookies. Check out the website you’re using or want to place your bet with if they have this method of payment in Philippines. Neteller becames most use in sport betting industry. Neteller is not difficult to create account, you need to open your account by website www.neteller.com. The benefit is you can apply for a free prepaid MasterCard. It may take almost a month arrive to you. When you have this card, you can use at any ATM machine, can buy at any store that accept MasterCard, can take out your winning from Neteller balance at any ATM around Philippines and other countries.